The evolving pattern towards precision medicine is based on analytics at the—omics, physiology and eHealth domains. One of the main driving forces is the management and analytics of multi-level multi-scale and multi-source data containing different semantics and possibilities for the realization of personalized health through the precision medicine approach. In the case of cardiovascular big data analytics progress is evident especially at the levels of physiology and eHealth. Specifically there is progress in the ICU domain, where streaming data are the big data source comprising a paradigm for point-of-care (PoC) diagnostics helping the clinical decision support system (CDSS) for physiological assessment of the cardiorespiratory system, as well as in the eHealth domain through the uptake of advanced closed loop telemonitoring systems addressing connected health and coordinated care for multimorbid chronic disease patients. The quantification of specific data analytics, data management and computational needs for the realization of interfaces conveying from cloud to local level the necessary input to the medical users is a complex procedure, which calls for the optimal use of all the cloud, computing and machine learning and visualization tools, let alone the interoperability and data security standards and apps. 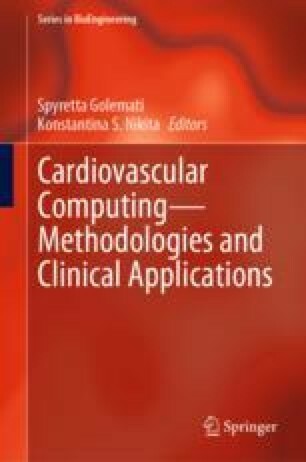 In this chapter, we shall give an overview of the current state-of-the-art concerning cardiovascular big data analytics as a function of available information and communication technology, computational engineering, and user driven systems platforms for use in connected health and integrated care environments, as well as one basic example related to big data analytics as a result of streaming data at a PoC from a clinically controlled environment such as the Intensive Care Unit (ICU). The output from the application of advanced machine learning and multiparametric analytics methodology conveyed as a CDSS to the users is considered and viewed as perhaps the most important function for the success of the big data analytics and management platforms. This work was supported in part by the EC projects AEGLE (Grant agreement 644906) and WELCOME (611223).